Whenever I make these, people are always asking how I got the eggs so creamy! Here is the secret ingredient. 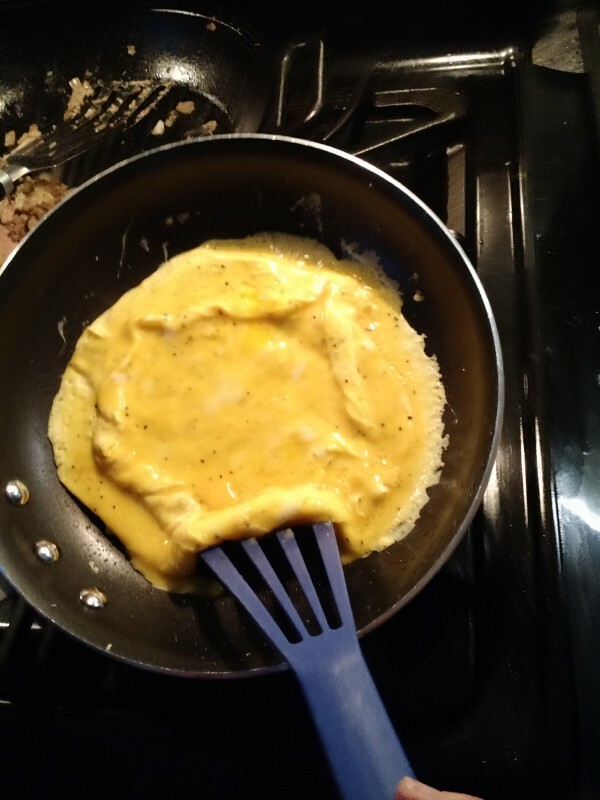 Heat skillet and add butter so eggs don't stick. Beat or whisk the eggs in a small bowl with cream and salt and pepper. Cook in skillet, stirring occasionally, until almost set up. Remove from heat and serve. If you stir scrambled eggs too much as they are cooking, they will end up crumbly and not be as creamy. If you don't mind the extra fat and calories, double the cream for extra creamy eggs! 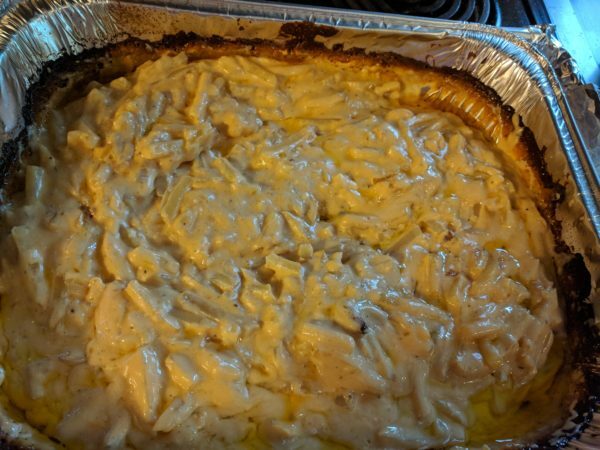 This is another recipe that my husband came up with. 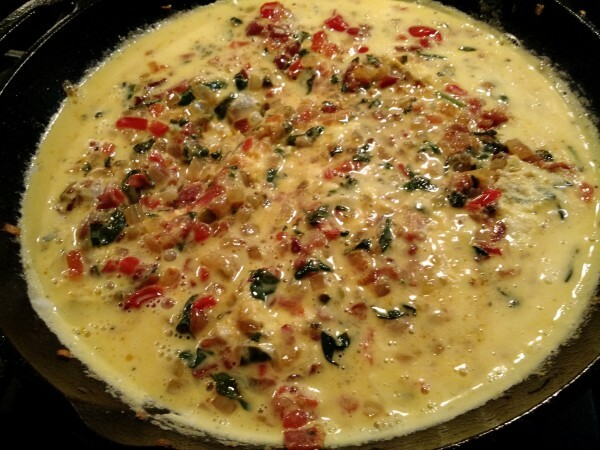 Creamy eggs filled with cooked bacon, onion, sweet peppers, jalapeno peppers, and topped with cheese. 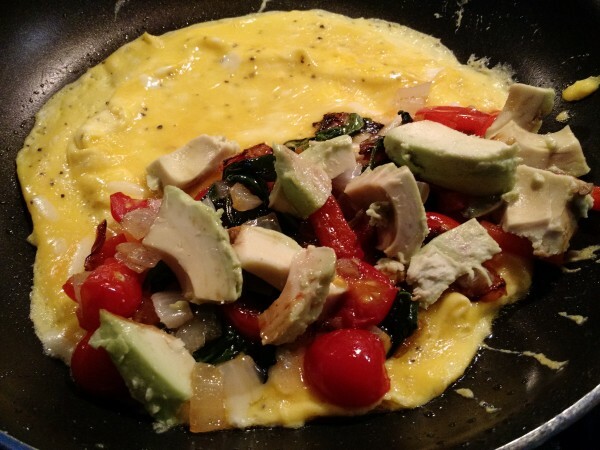 I usually cook up double the meat and veggies, then reserve half of it for a later time to make a quick weekday breakfast. 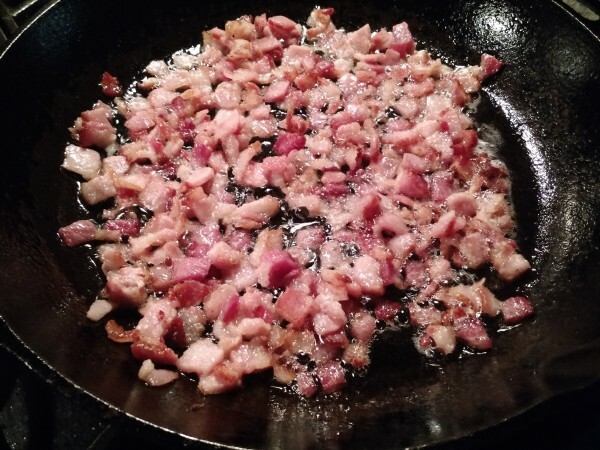 Heat skillet and begin cooking bacon in skillet. While that is cooking, finely dice onion, sweet pepper and jalapeno pepper. 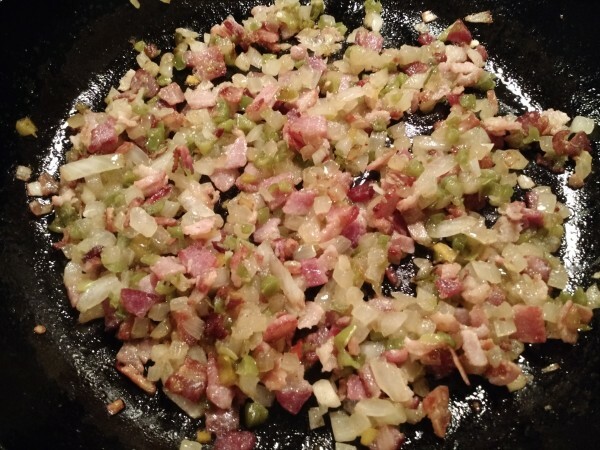 When bacon is cooked, add the diced veggies and cook, without draining bacon grease. Meanwhile, whisk the eggs with heavy cream and season with salt and pepper. 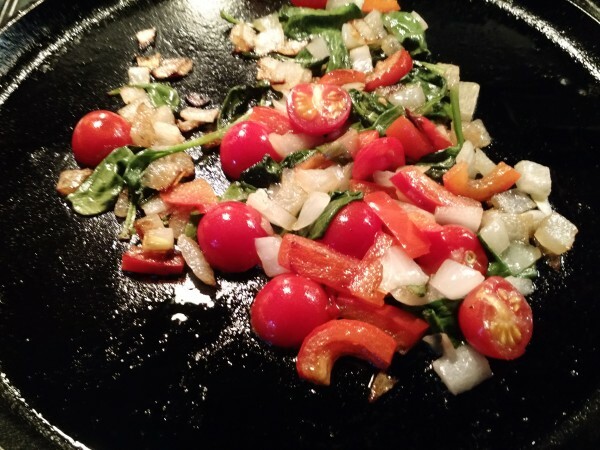 When veggies are nearly cooked, add spinach and cherry tomatoes to the skillet. Cook until spinach is wilted. 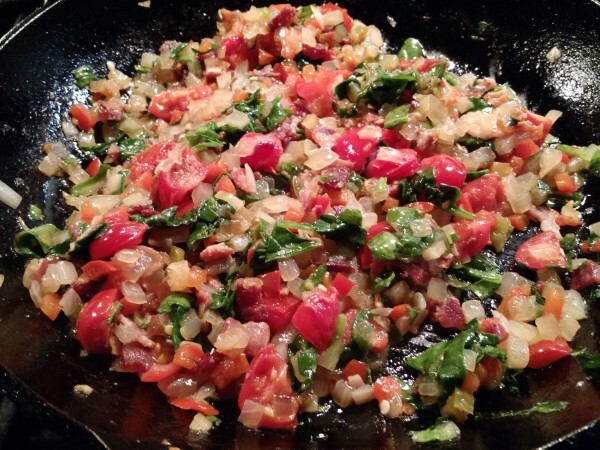 Pour eggs over the top of the veggies and stir. Cook, stirring occasionally, until eggs are nearly set up. Remove from heat. 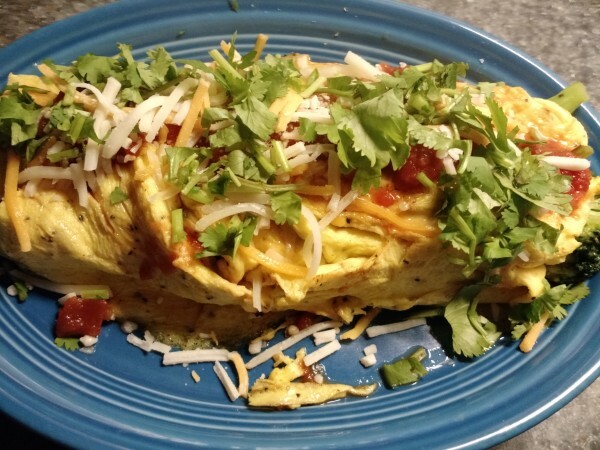 We like to eat these topped with shredded cheese and sometimes salsa. This is great because you don’t need to go out and buy all kinds of gluten-free flours, or any kind of flour! It almost has the consistency of a cheesecake and is delicious! If you prefer, you can omit the almond extract and put in 2T. of pure vanilla extract instead. Preheat the oven to 350 degrees. Line the inside bottom of a 9" Springform pan with a circle of parchment paper. Grease the sides of the pan. Set aside. 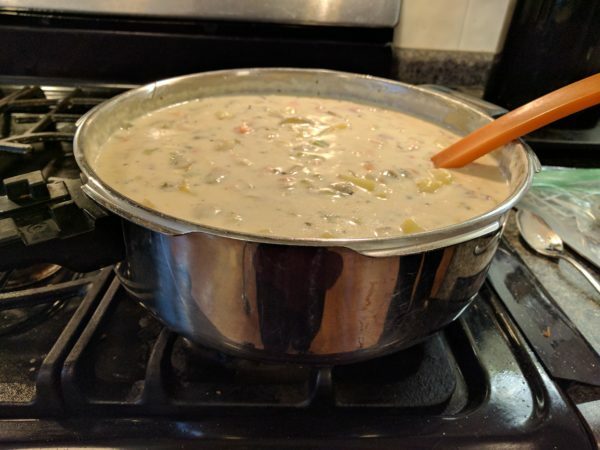 In a medium sauce pan, gently heat the cream over low heat. When the cream is fairly hot, melt the chocolate chips by adding them slowly to the pan as you whisk. Add the butter, in pieces. Whisk until the chocolate and butter are melted. Add the vanilla extract. As soon as the mixture is melted, smooth, and glossy, remove it from the heat. Using a wire whisk attachment, beat the eggs, brown sugar and sea salt until the eggs are foamy and doubled in volume. Slowly add the chocolate mixture to the eggs, and beat gently until combined. Pour the batter into the prepared cake pan. Bake in the center of a pre-heated oven for one hour, until the cake is set and cracked. It will appear a bit loose in the center, underneath. This is fine. Place the cake pan on a wire rack to cool. When the cake is close to room temperature, lightly cover and chill the cake overnight. Before serving, gently loosen the cake from the sides of the pan using a thin flexible spatula. Release the Springform clasp and remove the ring. Place the cake on a cake plate. Dust with a sifting of powdered sugar. This recipe originally came from glutenfreegoddess.blogspot.com. I made a few changes, which are reflected here. Easy breakfast casserole that can be made the night before and baked in the morning. Contains sausage, eggs, onion, green chilies and tater tots. In the morning, preheat oven to 375 and remove pan from fridge. Bake 50-60 minutes or until golden. 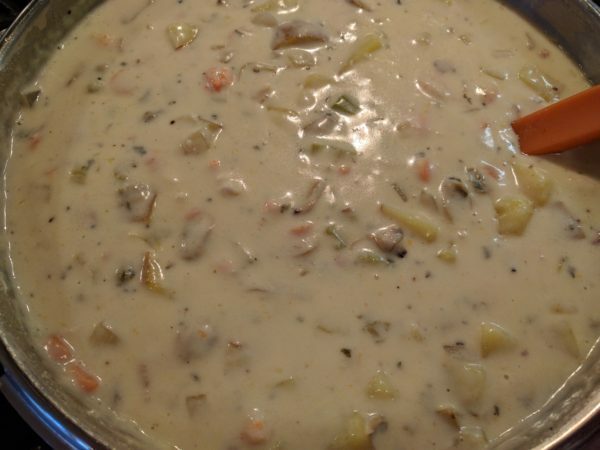 This can be served with salsa and sour cream or green or red chilie.